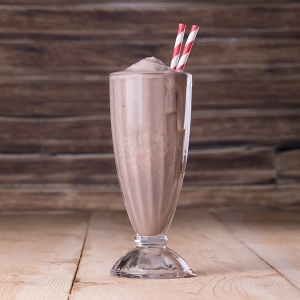 A Kings Classic – light in texture, irresistible in taste. 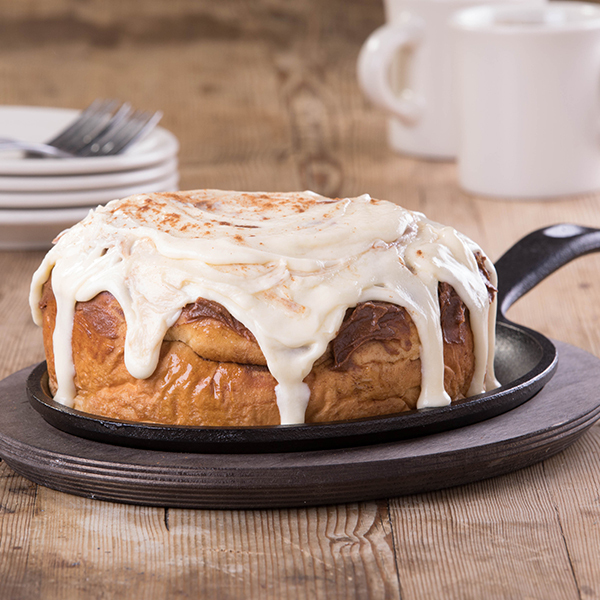 An oversized cinnamon roll smothered in a fluffy cream cheese cinnamon frosting. 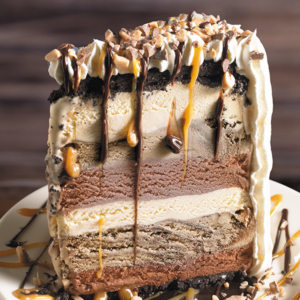 Chocolate brownie fudge, salted caramel and premium vanilla bean ice cream with a fresh-baked cookie crust and topped with marshmallow cream. 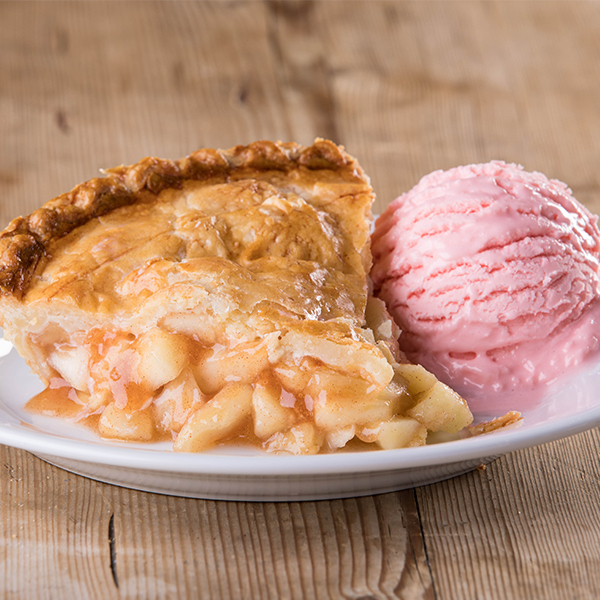 A slice of our famous warm apple pie served with a scoop of Kings own cinnamon ice cream. Our homemade creamy coconut filling and a sweet whipped topping sprinkled with toasted coconut. Thick fudge brownie topped with premium vanilla ice cream, hot fudge, whipped cream, crushed peanuts and topped with a cherry. 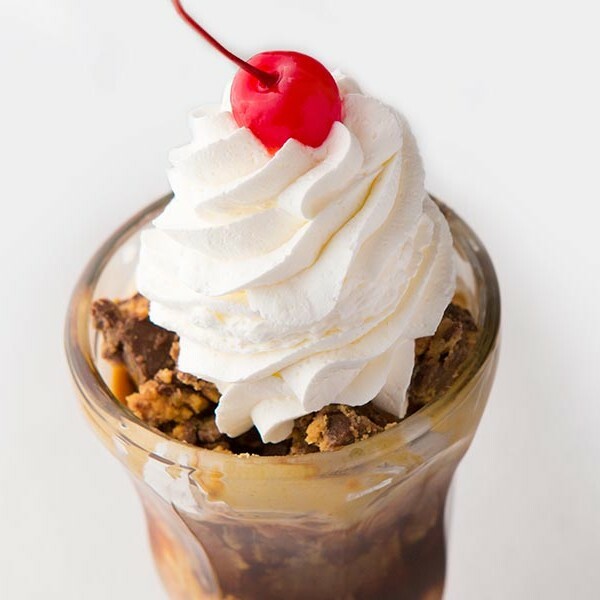 Two scoops of vanilla ice cream, hot fudge, Reese’s peanut butter crumbles, whipped cream and a cherry. 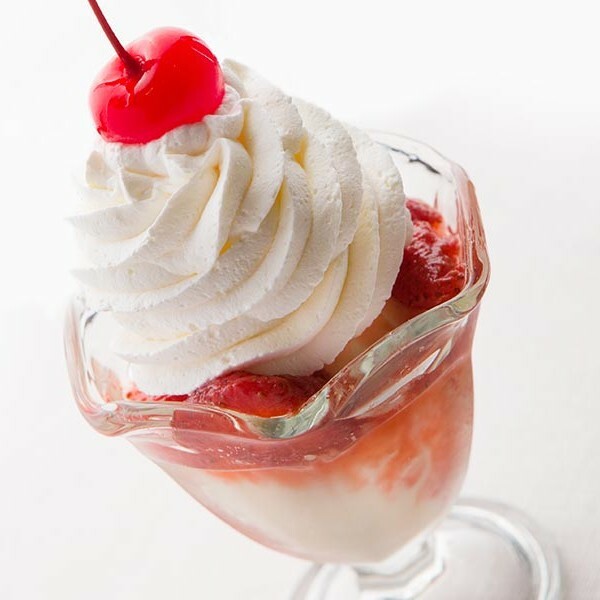 One scoop of vanilla ice cream, choice of topping, whipped cream and a cherry. Choice of Chocolate, Vanilla or Strawberry.